Umm, how should I start with the movie Expendables 2? A bunch of tough guys pulling triggers and firing to whatever in their sight…..
Come on, you don’t need to accomplish your mission like Rambo. In such advanced era, or even the past decades, you have already seen the perfect example, James Bond. A coat with a secret lens mounted; a tiny spy camera concealed in a tie or been put in a flowerpot. Spy gadgets are so necessary back to when the WW II begun and why these cleverbrains just leave them behind. There is no way that others will spot the lens on this clock. It disguises so well that normally we just see it as a speaker. You can record everything secretly or keep your house safe with this clock. You can either insert Micro SD card or set it as a WEBCAM. Wide range vision and long battery life will secure your property or help you finish “sneaky” mission solid. 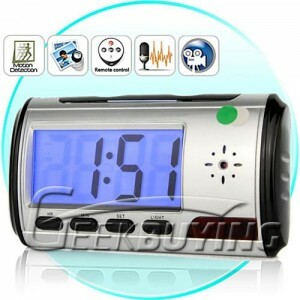 This clock can also record audio for 24 hours, prepare it before some confidential meetings or press interviews. One thing this spy gadget impress me is the move detector which means the product will be activated as long as there is someone walks into the range of 3-4 meters. This is the best digital home security system. No one will take this as a spy camera, It’s so cool and geeky that can almost beat Casio and relevant watch. The lens is hiding just above 12’o clock. Featuring multi-usage, you can record video directly via the lens for hours or it can be set as webcam as long as you download the software from Homecamera.com. I still remember Alex Hopper stares at Nagata saying: “you sneaky dirty….” Yes, this is how people will find out what did you do afterwards. Yet you can spy yourself with this fantastic gadget. 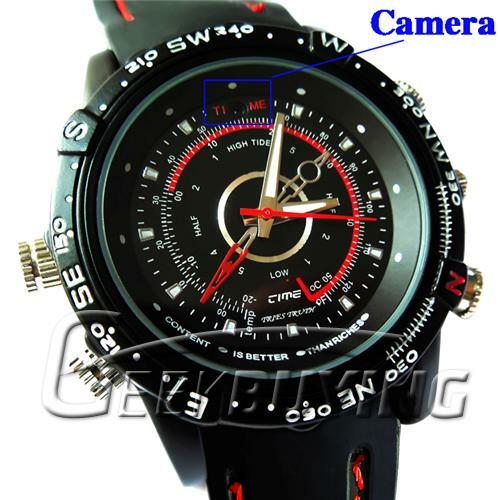 Besides that, record a live stream via this watch when you go out for fun, Top fail? Top bizarre? Any thing you like will be recorded. There will be more spy gadgets that you can find on Geekbuying. Protect your property, accomplish your job can be more efficient with them. But be aware, do not break the law 🙂 .